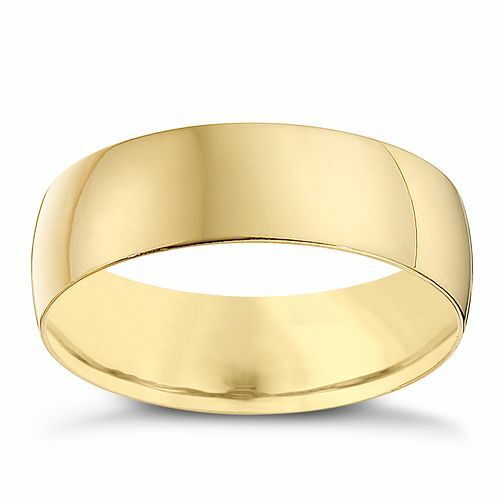 heavy D shape 9ct yellow gold wedding ring, a classic choice to symbolize your love for each other. 9ct Yellow Gold 6mm Heavy D Shape Ring is rated 4.0 out of 5 by 5. Rated 2 out of 5 by Anonymous from Doesn’t seem to be a ‘heavy’ ring Waited a few days longer than was told for it to arrive but the delivery process was pretty straightforward. The ring itself does not live up to expectations though. The ring is meant to be in the ‘heavy’ category but it looks and feels more like a thin, lightweight ring.